A printable concept book for children to recognise the letters in their name, spell their name correctly and become authors and illustrators of their own little books. Ideal to use as a literacy activity or homework task. Children use the booklet to write their name with different materials. Provide the children with their own copy for them to write their own name in different ways. 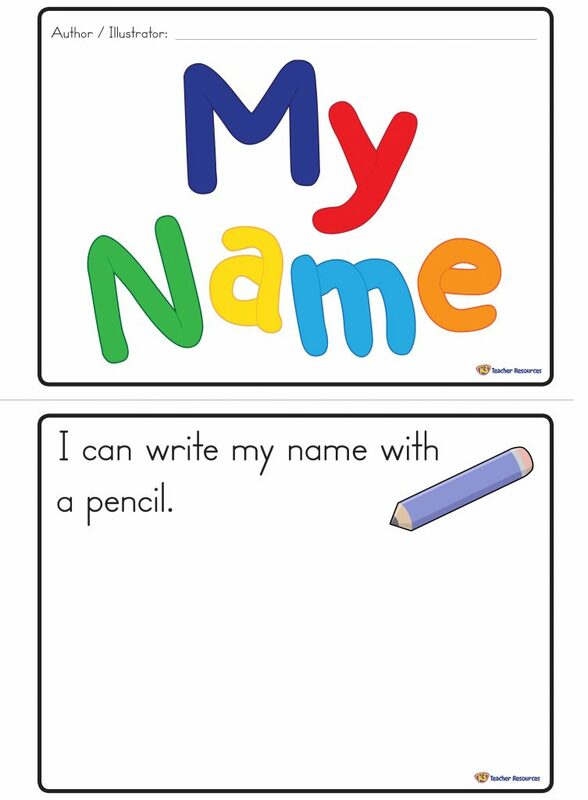 Use the booklet to encourage children to recognise and spell their name correctly. What would come next? – Ask the children to use the last page to write their name using a material of their own choice.